I'm currently lusting after a couple of items I've seen on auction sites on the internets. 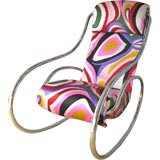 First this modelicious 1970s Pucci Rocker available on 1st dibs. 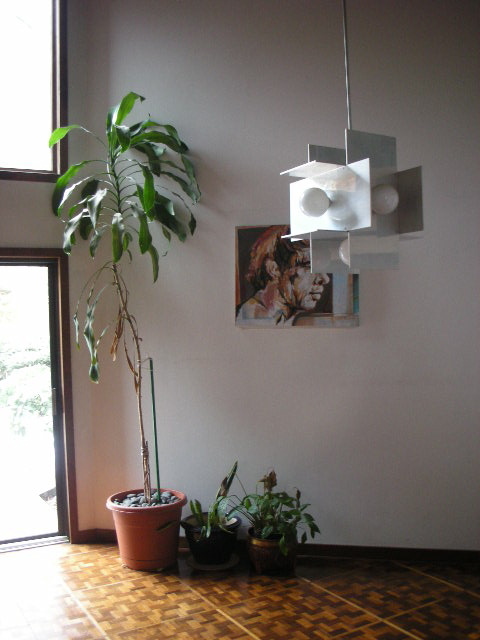 I'm totally in love with it but I think it's just too much for this house, although it might go here. 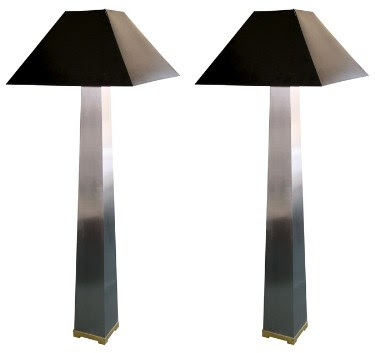 On the other hand these classy Lithic Floor Lamps, also from the 70s at Vintage and Modern are totally modern and in keeping with the style of this house. They are still produced today by the original manufacturer, J. Robert Scott so I can keep them on my wish list for now.